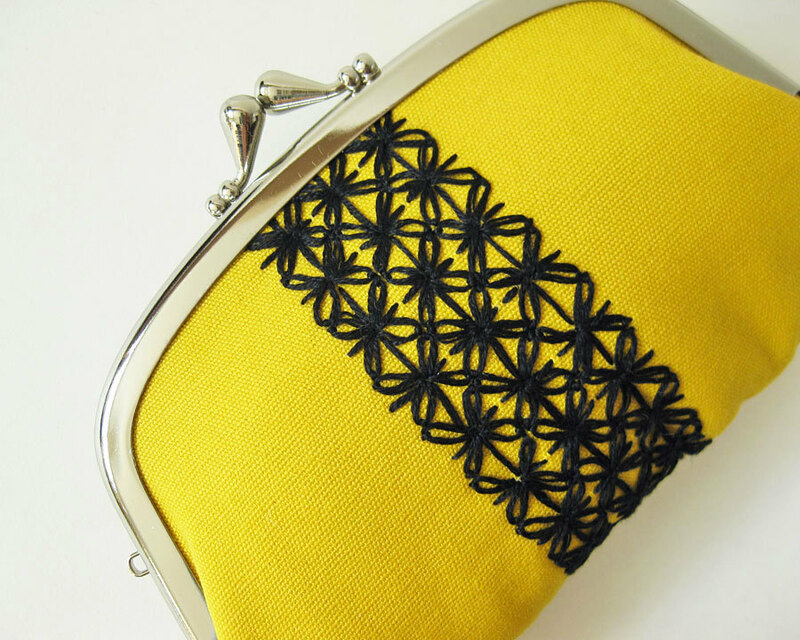 Oktak‘s custom coin purses, clutches, aprons and gifts for children are adorable. 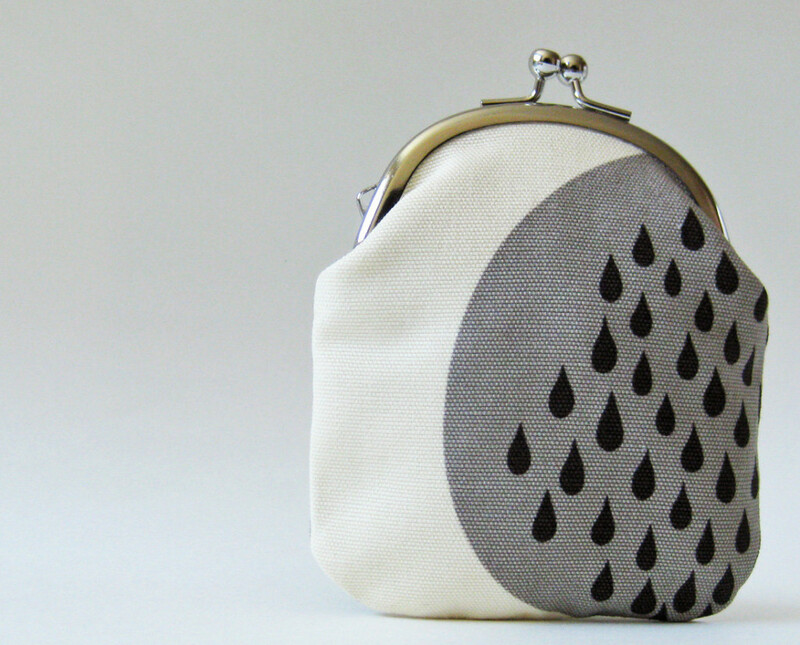 Each piece is designed and handmade by Aki, a Tokyoite living in the heart of Manhattan, NYC. I asked her three questions. Enjoy! 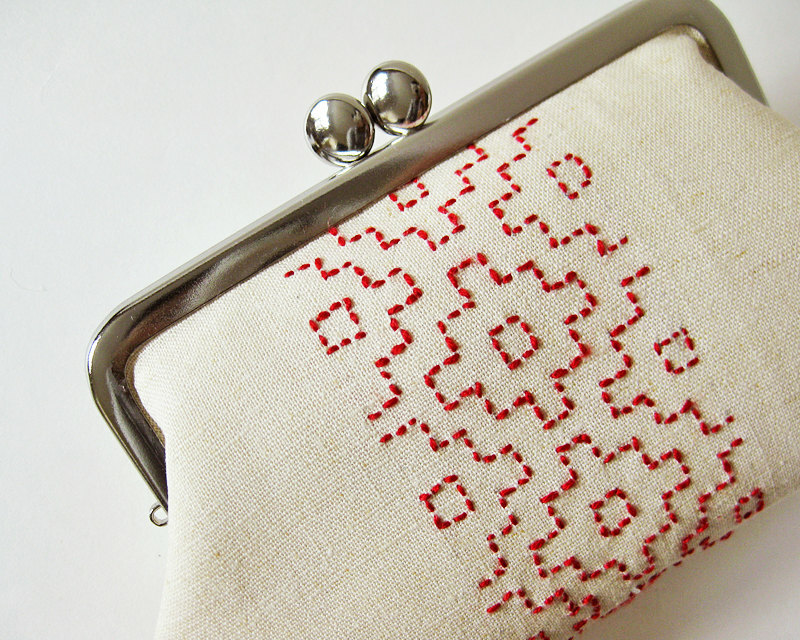 Why did you begin designing and making coin purses and clutches? When I had my first child, I resigned from my very demanding full-time job, and decided to explore my creativity. I’d always loved making things and thought how wonderful it would be to start my own business selling things that I made from home. I decided to take a course at the Fashion Institute of Technology, but was initially torn between shoe design and handbag design. Ultimately I chose handbag construction and design, because shoes had sizes and I knew I wouldn’t enjoy making multiples of the exact same design in various sizes. I’d rather make one of a kind or limited edition purses or tote bags. I would love to see a shoe line from you! Your color and pattern choices are fun, yet polished. What draws you to a specific color combination or pattern? This is such a hard question to answer! Honestly, I don’t know. I guess our sense of color and style is a product of whatever we’ve been exposed to earlier in life. I was brought up in a family of creative people, and have always had access to great museums (I’ve lived in Tokyo, London and New York). I definitely think that I’ve been deeply affected by both Western and Eastern art. Sorry, that was a bit of a tough one. 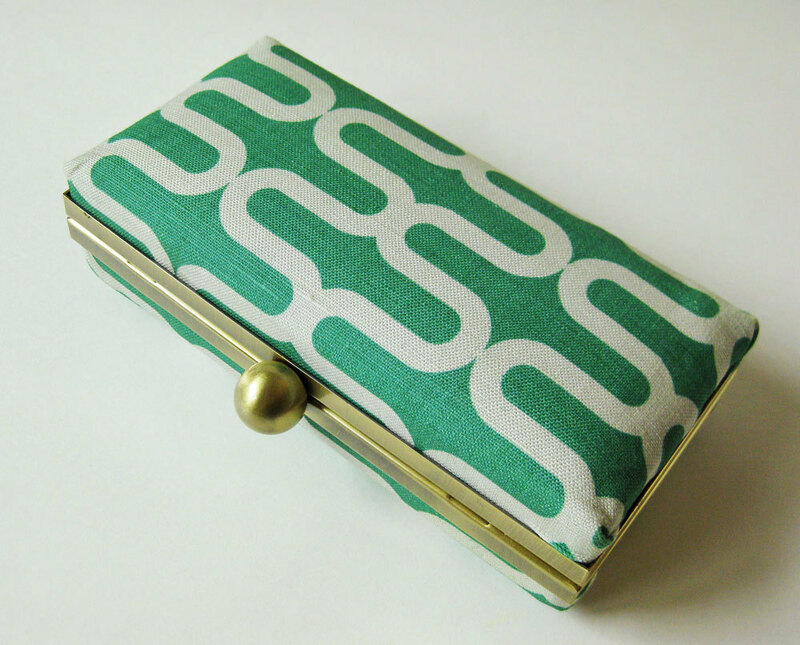 This might not be much easier: if you had to select one favorite clutch or coin purse, which would you choose? 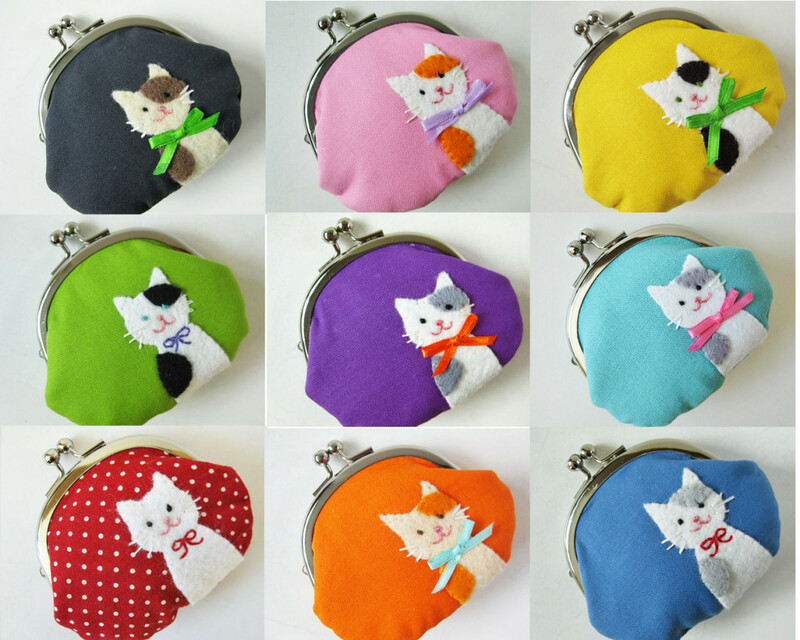 Oh my favorite item changes all the time, but right now I’d say my cat coin purse. It’s one of my best sellers, and I did a lot of research before I introduced it to my shop to make sure no one else was making anything similar. I love cats and just enjoy making them. I also love taking custom orders from cat lovers. The best part is that each one turns out so differently. Love to know more? Sign up for Oktak’s Newsletter.